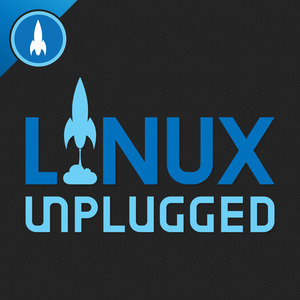 We found 10 episodes of LINUX Unplugged with the tag “plasma”. We head to the Raspberry Pi corner and pick the very best open source home automation system. elementary OS’ latest and greatest released today, and we talk with Dan and Cassidy from the project about their biggest release yet. Red Hat developer Andy Grover joins us to discuss Stratis Storage, an alternative to ZFS on Linux and its recent milestone. Episode 264: Proton, Electron for Games! Steam Play rocks the Linux world as it promises new levels of compatibility with AAA Windows games. But the story of how Valve is doing it might be just as fascinating. Docker controversy is brewing, but it's probably not what you think. We get around of community updates directly from the source, and why Debian an Intel are playing the game of he said, she said. GNOME is discussing big changes, Elementary OS has big news, and a big bug has been found in Linux. Ubuntu and Fedora have new releases, and our early impressions are great. We’ll share the features that we think make these distros some of the best Linux desktop releases ever. A new version of Slax is out this week, and they might just be onto something really unique. We take this Debian powered, Fluxbox running, net bootin distro for a test drive.